I am learning to focus on the things that I really value and to put the majority of my resources to work where they will make the most significance. In order to focus on the important stuff, I have to say “no” to the less important. Each day, thousands of demands scream for our attention. Family, work, ministry and necessities of life are just part of the short list. Then we mix in the things we want to do and suddenly we find ourselves not knowing where to start. Life can be so overwhelming. Knowing your values and core principles is a great indicator of your right yes. You need to be able to clearly define what is most important to you. Creating a life plan is a valuable tool to help you define what really is important. Michael Hyatt has a great free resource on how to create a life plan. What are your long range dreams and goals? I know you have probably heard that hundreds of times but they are important. Have you really taken time to write your goals down? Your values, core principles, dreams and goals create a compass to keep you focused on the right yes. This compass will help you judge the tasks you take on. If the task or new opportunity does not line up with your compass, there is a good chance you should say no. 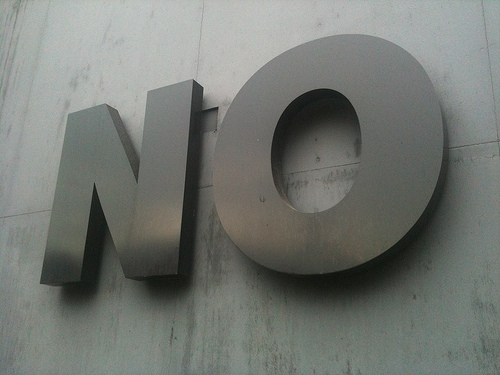 Be bold to say “no.” – This means you need to be willing to say no to yourself and to others. You need to be OK offending people from time to time. “No” can be difficult at times but with increased focus comes greater success. What do you need to say no to so you can focus on the right yes?